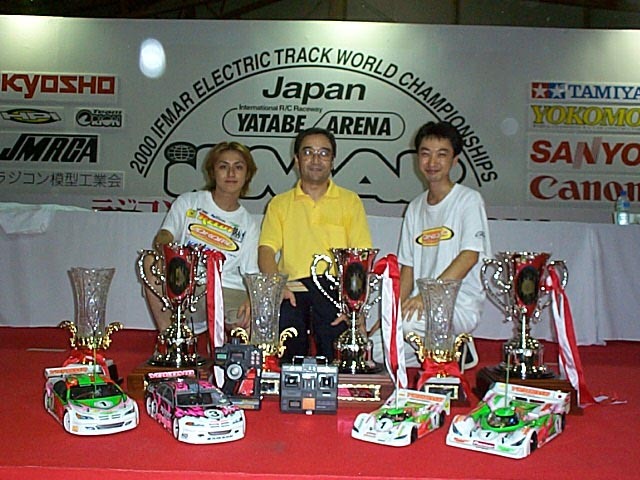 Masami won his first IFMAR World Championship in 1987 in England. He was then running the Schumacher CAT 4wd offroad car, but after that he has been running Yokomo. Masami is the driver that has won most IFMAR worlds in history, and he still keeps winning. In 1999 he won the 2wd Offroad Worlds here in Finland, and last year he won the Pro10 and 12th scale classes at home in Japan. What do you do when not racing? What are your goals for the 2001 season and for the future? 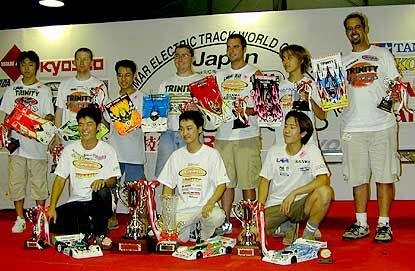 I would like to win the 2001 IFMAR WORLDS. Do you think you will ever get tired of RC racing? Which is your favorite class? What’s your best race ever? 1992 Detroit 1/12th World Championships where I battled with Tony (Neisinger). Is there anything in your long career in RC that you regret doing/not doing? How have you been able to stay on top for so long? I mean, you won your first WC in 1987, and you still keep winning. Because my sponsors are very good and works very hard. Are you happy with how the IFMAR worlds at Yatabe Arena went? What do you think is the main thing(s) needed to be a good driver? Why did Atsushi decide to leave Yokomo? He wanted to be a 100% professional driver. What do you think of the Yokomo MR4TC car? What are its characteristics? The MR-4TC is the fastest car in the World and an inexpensive car. As I understand, you will keep developing the MR4TC? So there will not be a new car soon? I am one of the test drivers for the car and still the MR-4 TC is best so it's difficult to improve. What changes/new parts will we see for the MR4TC? We have new rear suspension arms, which is stronger and gives more traction. Do you think that many people take their RC racing too seriously? Yes, I think so. I wish we had 2 classes like pro class and beginner class. What about the future of RC? What do you see happening in the future? What would you like to change? It's a very difficult question. I can not guess for the future. Do you follow real F1 racing? Favorite driver and team? Who will be world champion 2001? I have not seen a F1 race in this 3 years so I do not know. Do you follow any other motorsports or sports? I ski and bowl sometimes. I like any countries slow music. Finally the classical question: What advice can you give for those of us who are not champions but maybe would like to be??? Finally a big thank you to Masami for answering these questions!